We know how irritating it is to wait 2 weeks to see a GP (not necessarily your choice of GP) and then be limited to one problem in a 10-minute assembly line of patients. But as GPs we are on your side and want to help you avoid delays to your treatment. Our patients are important to us and we want to maximise the quality of our consultations with you. 1. Is your problem urgent or can it wait/be treated by another healthcare professional? Many people book ‘urgent’ appointments out of sheer frustration with the wait for a routine appointment. However, this means that we have less time to see those people who are very unwell – and this perpetuates the problem of waiting times. Please consider whether your problem can wait or be dealt with by your local pharmacist. Many surgeries are moving towards getting a pharmacist in surgery to deal with minor illnesses (e.g. colds, urinary tract infections, hayfever, travel advice) because our colleagues are highly skilled and useful additions to our teams. Check www.nhs.uk for a symptoms checker and advice about common illnesses that will resolve without input from your GP. 2. Arrive on time (or preferably, 5mins early). We know we run late and it is irritating as your time is as valuable as ours. But if our patients run late the rest of the list afterwards will also run late leaving the last patient waiting an awfully long time. It also starts the consultation well, and will give you time to collect your thoughts and lower your blood pressure before we call you in! 3. Dress simply. If there’s a chance we will need to examine your tummy or legs, or even your blood pressure, please wear clothes that are easy to remove, loose fitting and allow quick access. 4. If you have more than 1-2 problems ask to book a double appointment. It would be a dis-service to you if we tried to shoehorn 3-4 problems into 10 minutes (which actually often becomes 7 minutes if you account for dressing/printing prescriptions/doing letters) and there is a greater risk of something being missed. We will always spend more time with you if it is necessary and you are unwell, but you can help us run to time in this way. 5. Write a list of questions or symptoms if there are quite a few, so you ensure you ask everything that you’ve been worrying about. We don’t mind lists if it gives us a better idea of everything that has been going on. We may ask you to book another appointment if we can’t deal with everything in one go. 6. Prepare a bit more. Write down important dates or measurements. I sometimes ask how long a condition has been going on for, so it is useful if you have a rough idea of timings. If you have high blood pressure, diabetes, or problems with your periods please write any measurements for us to review – for example, blood pressure readings over the previous 2 weeks, sugar levels, or dates of your last three periods. Some of my patients keep spreadsheets of their blood pressure measurements and I love this for two reasons: I can be certain that I am managing their BP well, and it shows that they are involved and interested in their health, which means that we are working together to help manage the condition. 7. Prepare even more! Read about your condition and possible diagnoses. patient.co.uk has some great leaflets and if you’ve read up you have more time to discuss the pros and cons of the options. Be open and honest about what you think the condition is – this can help us to either explain the condition or allay your fears (if we think an alternative diagnosis is more likely). 8. 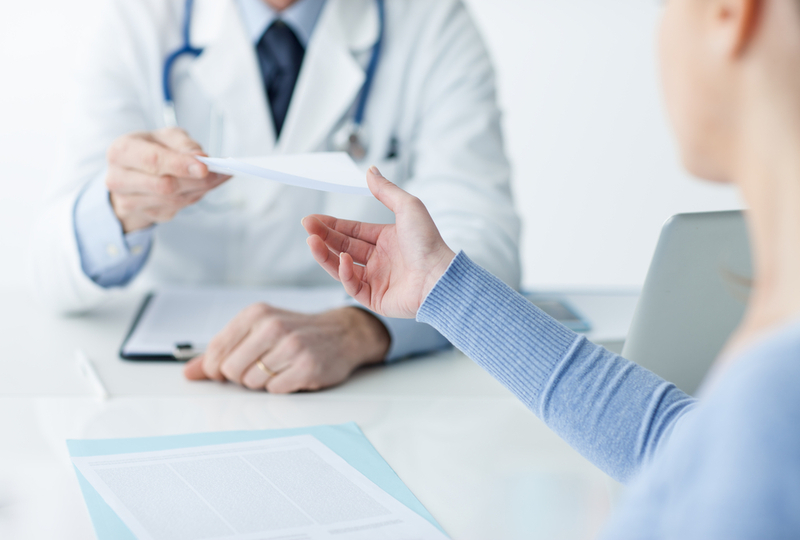 Bring any relevant clinic letters or investigation results from specialists along with you. If they are in a different language please bring in a translation for us. If you speak a different language please bring along an interpreter or ask for one when you book (this can be difficult to arrange at short notice though). 9. If you are bringing a child under the age of 5 bring the red book. If you are pregnant, bring your maternity notes and a urine sample with you. 10. If you are expecting a referral and haven’t heard within a month please let us know. Often we can give you a telephone number to chase up a referral and save you waiting or help avoid things getting lost in the system. 10.5 Finally, if you are on regular medications, please come and see us or the practice nurse once a year to say hello. This is so that we can ensure the medications are working for you, and that necessary blood tests and monitoring are done to be safe.